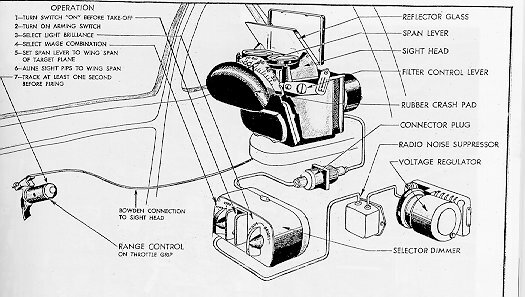 A Diagram showing how a MkII* reflector sight is mounted in a Spitfire. The upper dial of the Stadiametric Ranging Procedure set the required rane on the upper dial. The Mark IIL was a modification to the Mk II to allow for firing of rockets. 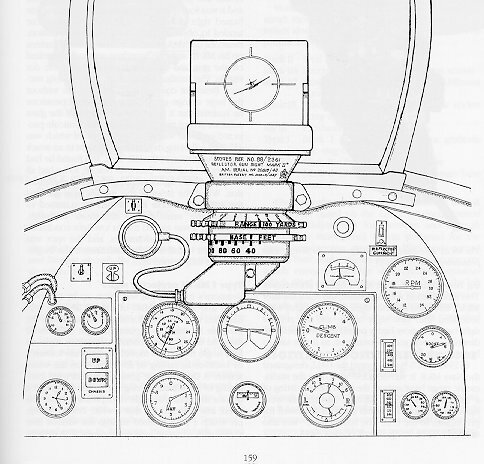 The reflector screen could be tilted forward by the pilot from 0 to 5 degrees depression, according to airspeed and the known drp of the missiles being used. 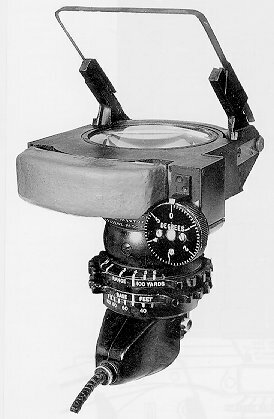 The Mark III projector sight. First used in Hawker Tempest V in Feb 1944. 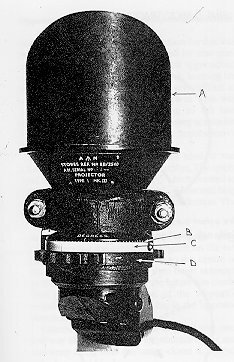 The reflector screen was removed and the graticule modified to a plain 100 mph ring and dot. The 2 control rings were replaced by one ring that moved the graticule forward or backwards. A dual purpose graticule with an adjustable ring for rocket firing and a dot for the guns. 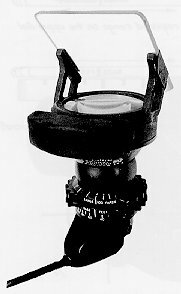 The gyro gunsight helped solved on of the most difficult problems for pilots and airgunners. Finding the correct angle of deflection or lead needed to hit the target when it moves across the line of fire. 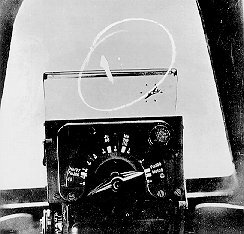 The sight would show the correct aiming mark which allowed for range, deflection and the gravity drop of the projectiles. 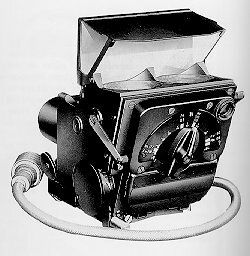 The Mk IIC showed two illuminated graticules. The one on the left was a fixed ring graticule which could be used if the gyro system failed, its main use being to harmonize the guns with the sight. The right half side of the screen was the gyro-controlled ring of six diamonds. 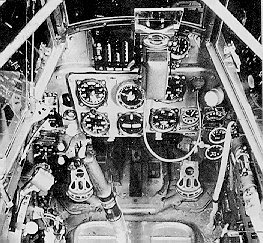 The diameter of the ring was adjusted by foot pedals in the turret version and by a twist grip on the pilot's throtle lever on the fighter type. K14 American GGS and operating sequence.